That was one of the phrases used in a biographical sketch of Mary J. Birdsall which appeared in a book published in 1888 entitled: The City and County of San Diego Illustrated And Containing Biographical Sketches of Prominent Men and Pioneers. The book’s title is a mouthful in itself, which was the style of a lot of volumes in that era, especially those written to salute a certain region and those considered its most notable citizens. The book nevertheless offers an interesting snapshot of San Diego in 1888, and of this one particular person’s life. That’s especially true from the perspective of the reader in 2016. Note the reference in the title to “Biographical Sketches of Prominent Men and Pioneers.” There are actually 47 bios presented in the book, but Birdsall is the only woman listed. 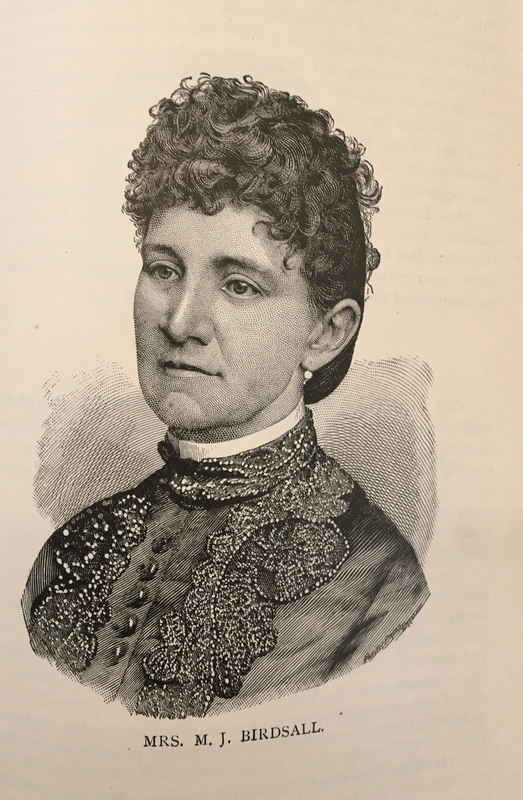 A check of historic San Diego newspapers bore out the change in her life, with coverage in 1882 of her suing her husband for divorce on the grounds of “habitual intemperance.” That coverage soon gave way to descriptions of her as the proprietor of a well-run hotel and an active businessperson and civic leader. Here’s to one strong woman whose story made it into print.